The Miracle Cures of Dr. Aira (New Directions) by César Aira begins with the title character talking to a tree. So begins another original novel by Argentine-based Aira, whose Varamo was released earlier this year. 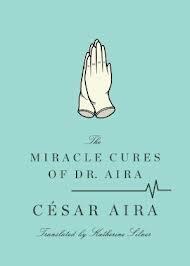 In this 80-page novel, Dr. Aira is a Buenos Aires doctor who believes he is being followed and filmed in pursuit of his miracle cures. He had developed at least one sure method for finding out if somebody was observing him: it consisted of yawning while secretly spying on the one he suspected; if he yawned in turn, it meant his eyes had been on him, because the contagious property of yawns is infallible. Of course, somebody who just happened to be looking at him at that moment might have yawned; and anyway, proof didn’t do him much good, though at least he knew what to expect, which was enough for him. But Aira writes in long sentences that can ramble and may need to be reread. The ending may be a bit mystifying for some readers – but it’s just about what you would expect from the quirky mind of César Aira. 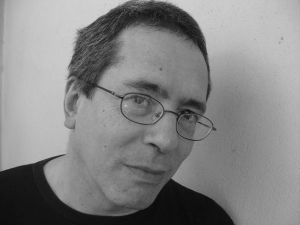 César Aira is the author of more than 70 novels and essays. Miracle Cures was translated by Katherine Silver.